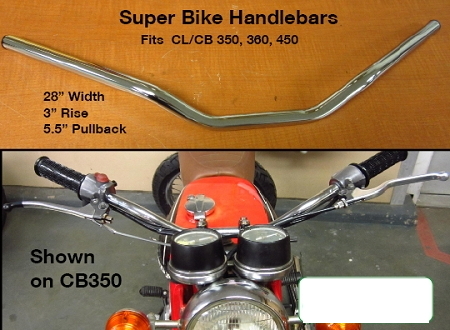 Why You Need This: The superbike bars give the perfect balance of comfort and control on any Honda CB350, CB360, CB450, CB500 or CB550. 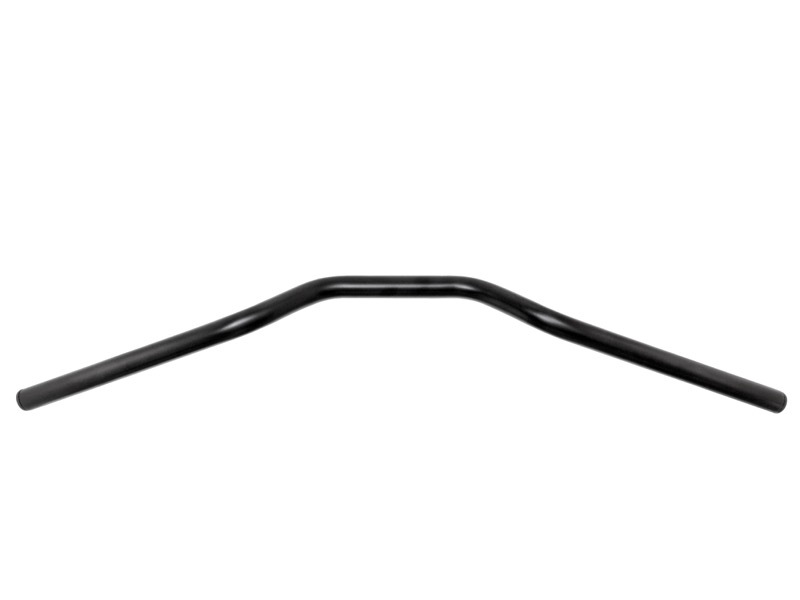 The superbike handlebars are much more comfortable than clip-ons or clubman bars and give just the right look of a true cafe bike. 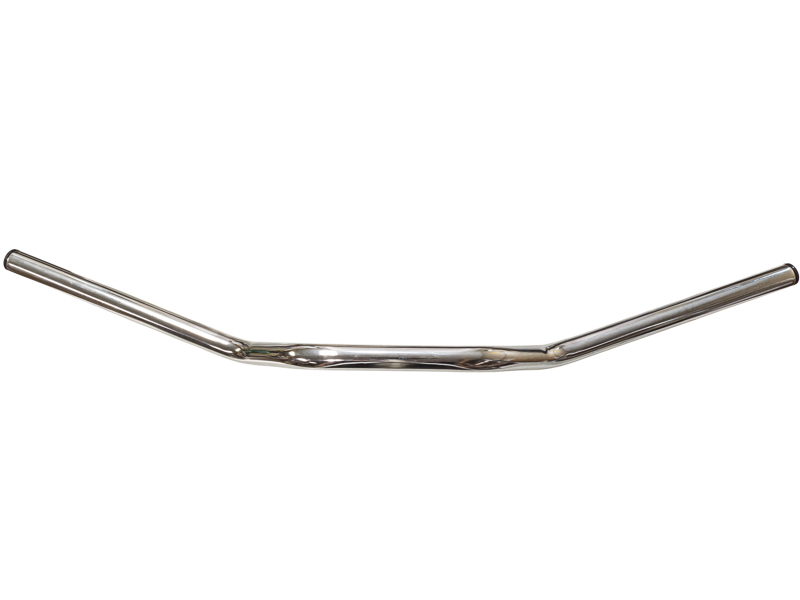 Reminiscent of BMW bars from the late 1960's, these motorcycle handlebars are chromed steel with plastic end plugs. These bars can be installed inverted for a classic cafe clubman style look. 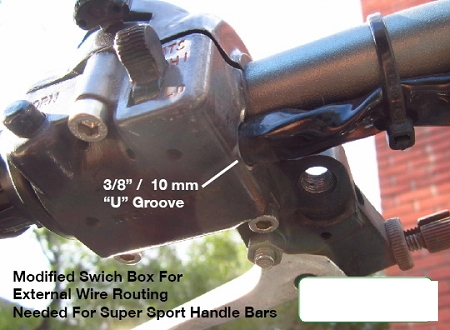 Installation Tip: Handlebar switch boxes will have to be modified to allow the wires to be routed externally on the bar. 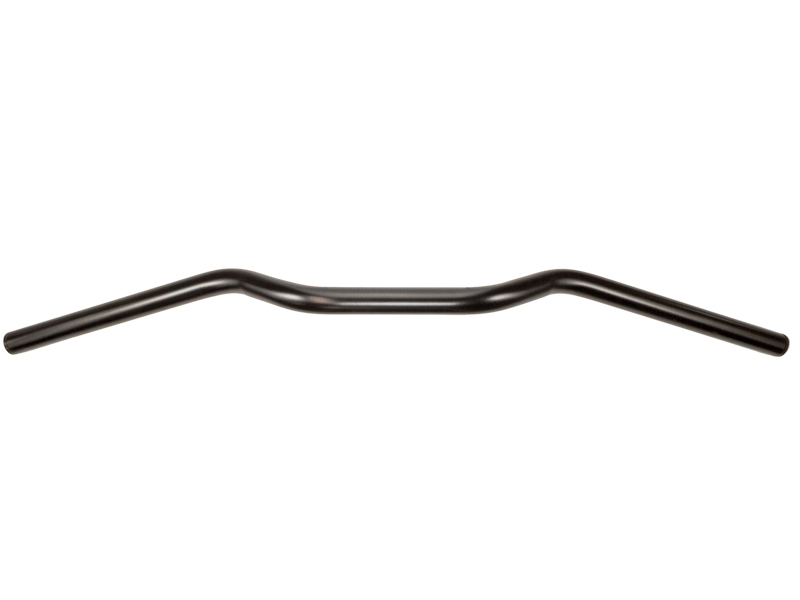 For the Black Satin Bars, paint will have to be removed to make them a electrical ground contact.